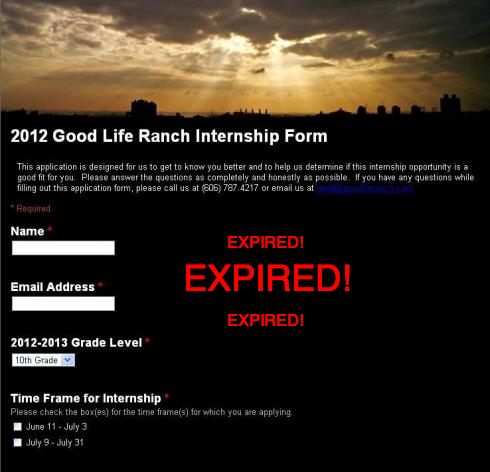 It’s that time again – time to apply for an internship at Good Life Ranch! Last year we were so lucky to have so many wonderful interns. We had a ton of applications and were able to select some truly remarkable young people to come to the ranch and learn about sustainable farming practices for 3-week sessions. This year should be even more fun because we’ve got so much more going on at the farm now. We do reserve some spots for students at The International School of the Americas, but we encourage any eligible student to apply. We consider eligible to mean 10th graders through early college students who are intelligent, hard-working, and who want to learn more about food and how it is grown.